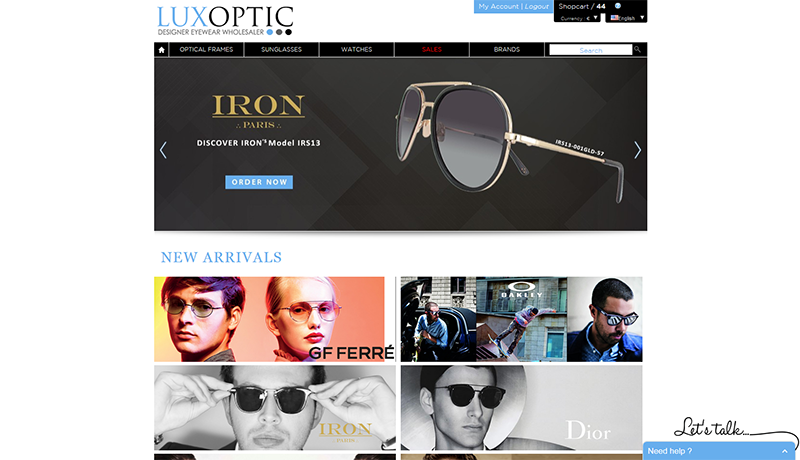 LUXOPTIC.com is the 1st BtoB wholesale platform specialized in supplying authentic high-end eyewear from the most renowned designer houses. We are focused on top names from France and Italy. 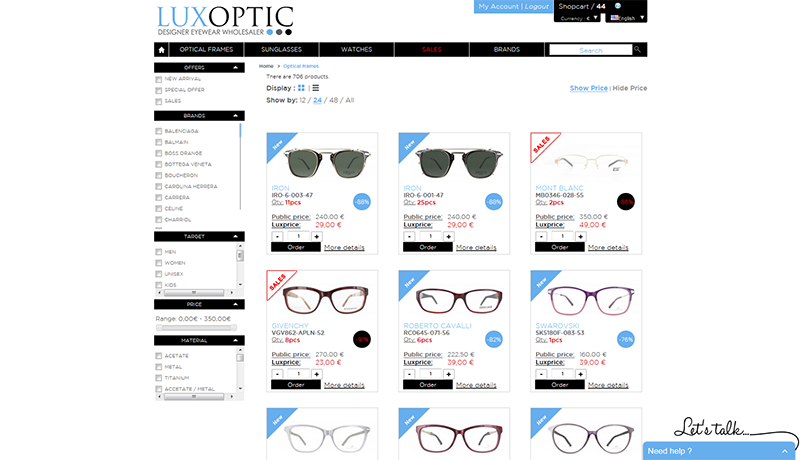 With up to 5000 different styles and 70 brands available online, our website is an efficient tool for professionals only. The website is updated daily as well as our warehouse receives new inventory every week. We also offer online SUPPORT with the help of a « live chat » providing direct assistance (open from Monday to Friday GMT+1 France) while browsing through the website. 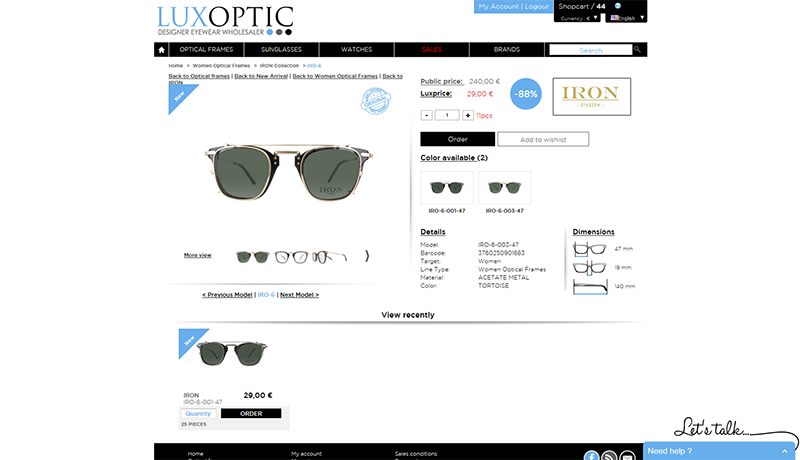 Our webshop is suitable for all devices. Open an account with us now, it’s simple, fast and easy. We kindly ask you to describe your activity and needs in details in order to help us know you better which will allow us to create the best sourcing solutions for your business and establish long-term relations between our companies. One of our sales representatives will contact under 48 hours maximum in order to finalize the registration with our company. We count on your understanding that we only work with companies (Business to Business). 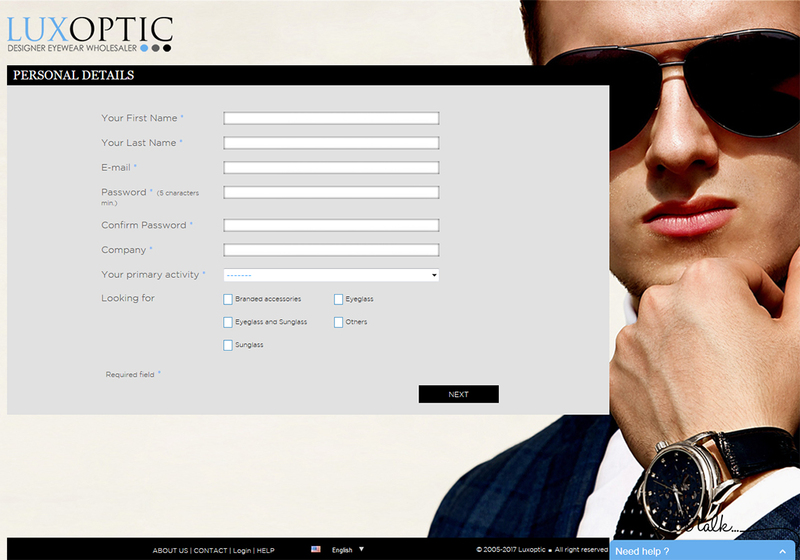 After our Sales Representative approves your account you will receive your login details within the coming hours. 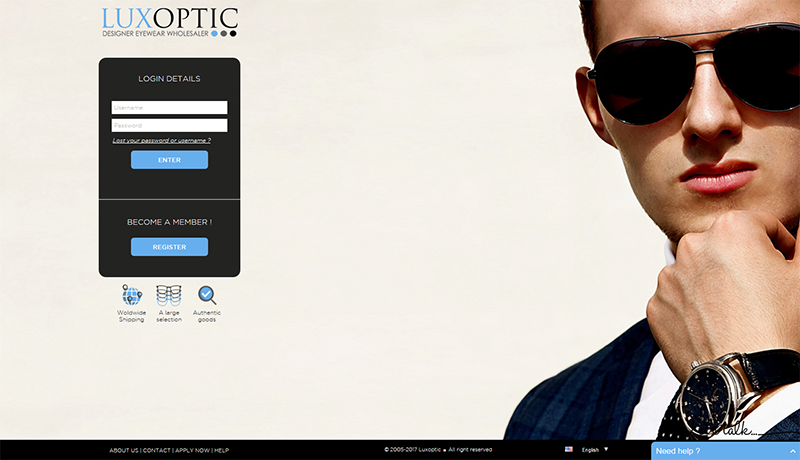 Enter your access codes on the home page www.luxoptic.com and you will discover the full service of your account. This BtoB web platform is updated daily and you will see the latest arrivals, current best deals and sales on the landing page. 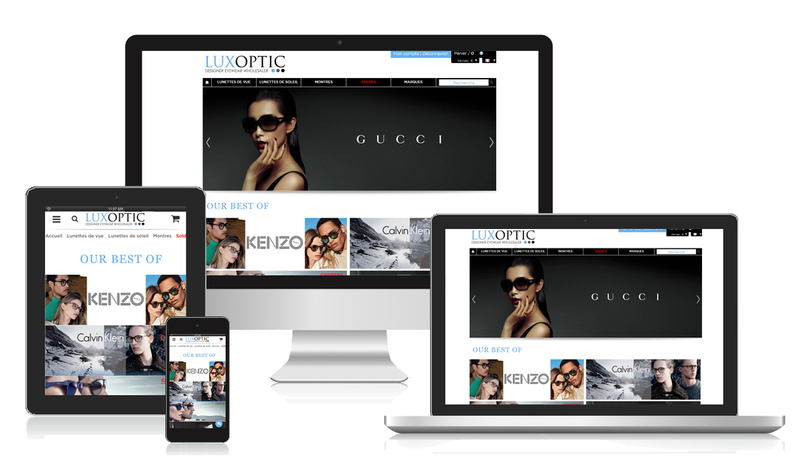 Our web platform is optimized for every device whether you work from your desktop, a smartphone or a tablet. If you prefer to make a selection from a catalogue, you can speak to your Sales Rep to receive it by e-mail.